In this week's edition of Mentorship Monday, we're taking an unconventional approach to the way we think about leadership with Jan Griffiths and a couple of our own stars here at Source One. When it comes to thrilling experiences few top that of skydiving. Imagine the exhilarating and eye opening ability to transition from sky to earth at incredible speeds. Through it, you’re forced to become comfortable with the uncomfortable, push your limits, and trust the people around you. There are parallels to be drawn between skydiving and professional development. The truth is, without knowing you have a trained professional behind you, or a properly functioning parachute to rely on, you're not going to have the guts to jump out of a plane. Your confidence and comfort comes from knowing you have reliable support. The thrill and lessons learned by taking that leap are halted without that feeling of safety. The same is true when it comes to innovation and taking risks in the workplace. A culture of safe and confident risk taking, one where no one’s afraid to take a leap, begins at the top with strong leadership. 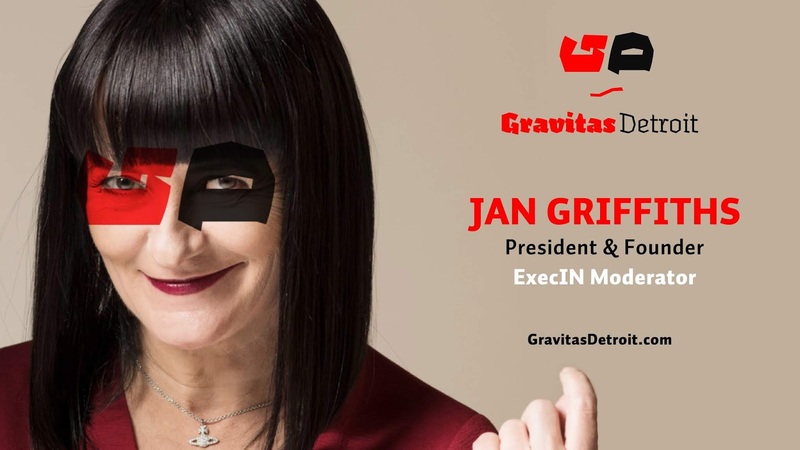 According to Jan Griffiths CEO and Founder of Gravitas Detroit – a leadership consulting firm focused on helping companies nurture the next generation of innovators – and moderator of ExecIn, the premier executive-level supply management subconference at ISM2019, great leadership means providing a safe environment for encouraging employees to grow and innovate. Innovation is what keeps businesses and supply chains especially, alive. No supply chain professional should operate in fear of failing, since innovation is "by definition," says Griffiths, "trying and failing and trying again." It is every leader's responsibility to ensure employees feel the support they need to try new things, that's how companies succeed and grow. According to Gallup, one in two employees have left a job to get away from a bad manager, and just two in 10 employees strongly agree that their performance is managed in a way that motivates them to do outstanding work. Managers play a huge role in an employee's daily experience and engagement level, so they should be great motivators. True leaders leave a lasting impression on their teams - even if their team members move onto new positions in new organizations. The right advice from the right leader has the potential to resonate throughout the life of an employee’s career. That’s why it’s so imperative for the leaders of the future to remember the power they hold. By functioning as mentors and coaches rather than managers, they’ve got to power to fundamentally change lives. Griffiths recalls the moment she realized just how much a great leader can do. "Leaders don't always think about the impact they have," she says. "I once had an employee say 'you’ve changed my life.' He had a manager that made him miserable and depressed. So much so that it was affecting his home life. I gave him the opportunity to lead a team in a particular category and the opportunity and success he experienced changed his life." Innovation drives business, but all creativity is stifled by fear of failure. In addition to great power, Griffiths suggests leaders have an equally great responsibility. It’s their duty to provide a safe environment for professionals to make the leaps and bounds necessary to advance. Without this support, they’ll remain stagnant and so will the organization. Not many leaders consider the legacy they will leave behind, but a truly excellent leader always thinks about the impact they have. Long-lasting legacies are one of the many topics Griffiths will discuss with Supply Chain leaders at ExecIn next month. Senior-level executives from non-consulting organizations with an annual revenue of over $1.2B are encouraged to contact Carole Boyle (cboyle@corcentric.com) to express their interest and learn more about this exclusive opportunity.